Having a startup business is a very risky thing to own, you’re going to have to make your business work otherwise it’s going to fail and you’ll have wasted all your time and money on it! Because we don’t want to lose the time and money, you need to get your business started the right way, so carry on reading to learn how to! Your logo is going to be one of the most important parts of your business. In just one image, it’s going to represent your company and what you do, it has to be informative and clear cut whilst also being entertaining and memorable. It’s your customer’s first impression of your business, so it has to be done in the right way! Trying to design a logo yourself is often something that you should avoid; most people don’t have the experience or tools to properly design a logo, so it’s a good idea to hire a logo designer so that you can get the best logo that you can, avoiding any silly mistakes that you might make if you were going to do it yourself! A lot of areas of business are going to require specific equipment in order to perform the task of that market. If you don’t have the right equipment for the job then your business is going to suffer whilst you try to find the right equipment. You’ll have wasted money and time, both of which you have precious little of! This is why it’s good to check what kit you need before you start. Of course, this is entirely dependent upon what your business is, if it’s a coffee shop you’re going to want to head over to kickstartmycoffee.com, or if you’re setting up a car mechanic shop you’re going to want to get tools from sears.com, so do your research before you buy things you may not end up needing! One of the biggest mistakes that startup businesses make is that they think that they need an office straight away; but you don’t! Sure, you’re going to need one eventually but you’re not going to need one right away because you’re not going to have the employees to justify it. Hiring out an office space can be very detrimental to your business’s finances; hiring office space is expensive and your startup business will not be able to support this amount of outgoings which will result in its collapse, so don’t do it until you can afford to! 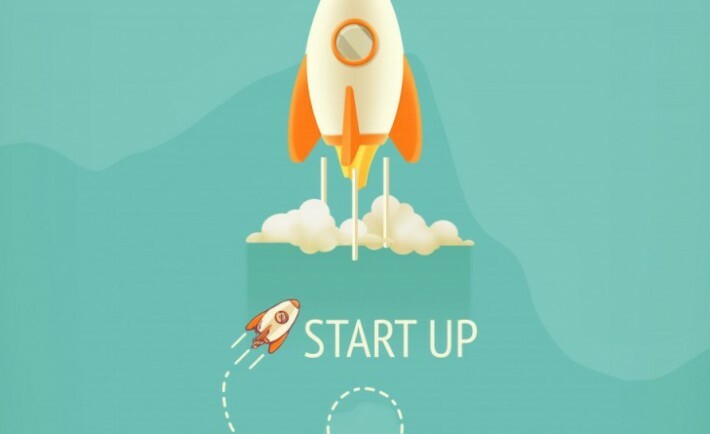 As long as you keep all of these things in mind, you’re going to have a successful startup. Everyone involved is going to be working from home so you won’t have to worry about getting an office space, your logo will be as unforgettable as it is professional and you’re going to have everything you need to start off right! However, there are some more things that you can do that are a bit more internet related, so check them out!